invited to enter our online competition ‘Palm Art Award 2012’ with your recent works. For many of our former winners the award turned out to be a stepping stone to an enhanced level of their artist career. 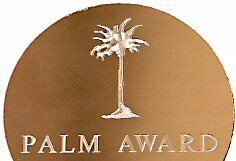 Palm Art Award is an online competition purely. This entry was posted in Art and tagged art domain leipzig, constantin severin, palm art award. Bookmark the permalink.